Having extensive knowledge of contemporary trends and client requirements, we are completely adept in offering a wide assortment of Ball Rail System in different specifications at market leading rates. The offered range is made using superlative grade basic materials, other components and state-of-art technology in line with set industry standards. The product is designed to be used in machine tools as well as industrial robots. The entire array is stringently checked on several quality check parameters to offer an impeccable range to each client. 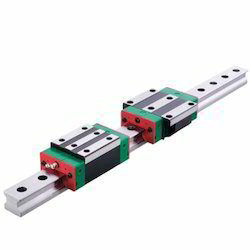 Living up to the highly laid quality related expectations of each client, we are persistently offering an extensive array of Roller Rail System to the wide variety of clients at cost effective prices. The entire range is manufactured using premium grade basic material, other components, and innovative technology in compliance with pre-fixed industry norms. To cater to the different requirements of each client, we are offering the range in various sizes, grades, and other specifications. The entire assortment is highly praised by the clients for their impeccable nature. 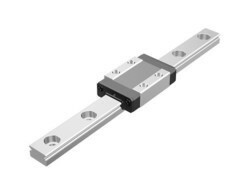 Product Description: We are a leading firm, which is engaged in offering HGW Series Linear Guideways. 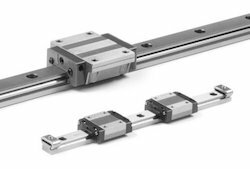 The offered range of HGW series Linear Motion Guide Way is sourced from reliable vendors, who ensure to design it in strict compliance with the international quality norms and standards. each cage has a dovetail fitting arrangement to bild up the requireed length of cage.The two needle rows can be bent nder any desired angle by means of the flexible bridges.To give the cage the desired angle it should be heated in an oil bath at a temperature of 70 devided 90 degree and then bent as required. 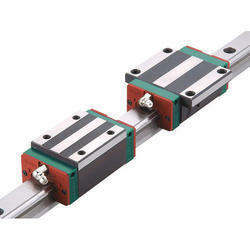 We are offering Linear Motion Guide Way to our client.